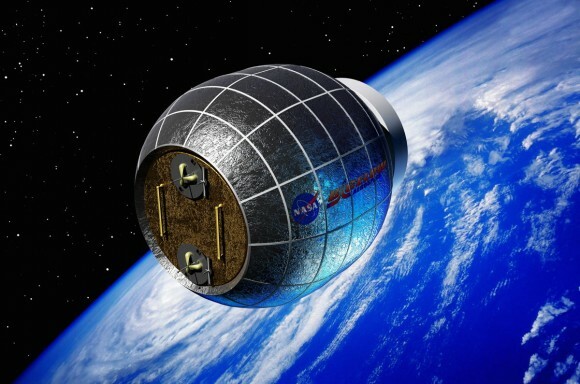 The Future Of the International Space Station?? 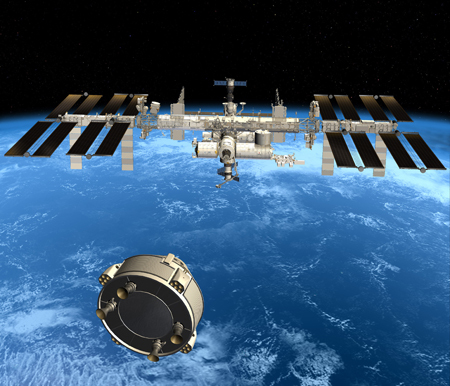 Follow the ISS as it circles the Earth with our live ISS tracker. 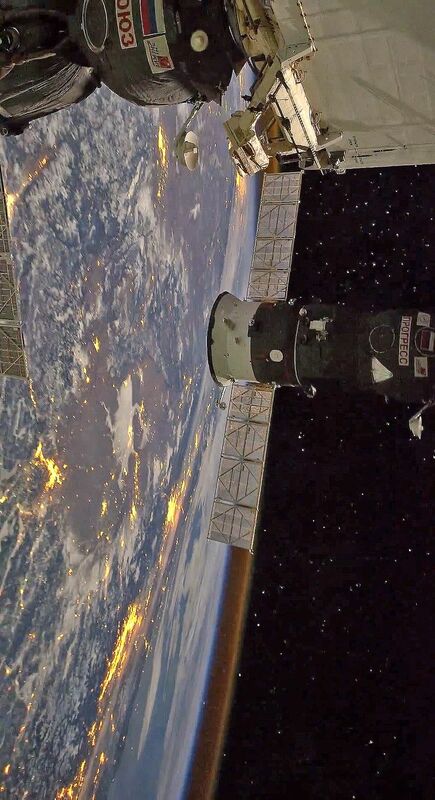 This live ISS stream of planet earth from space is courtesy of Nasa HDEV High Definition Earth Viewing Cameras aboard the international space station. We encourage people to join in our live chat but ask that you are respectful of others. Rude and inappropriate comments will not be tolerated. We ask that you chat in English so everyone can participate together and also to enable us to identify any inappropriate comments. 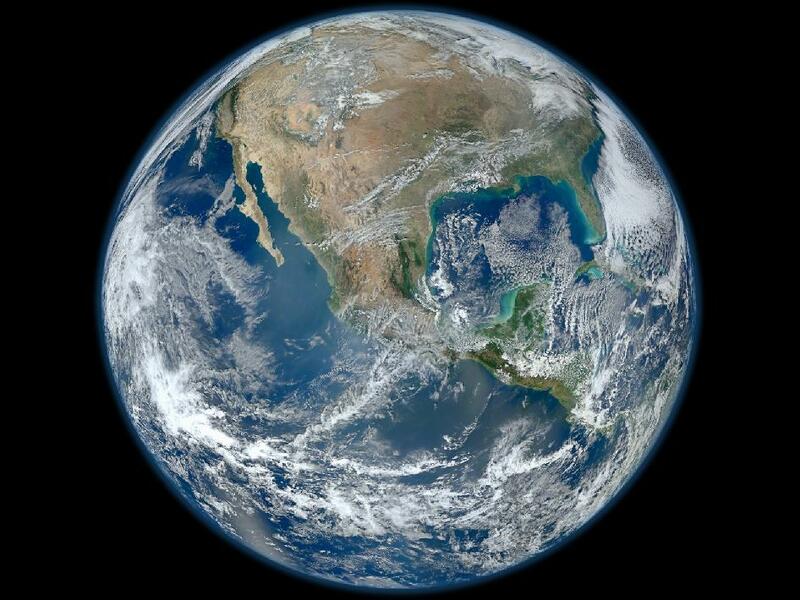 This is live HD footage captured by NASA's HDEV cameras on board the International Space Station. The result is beautiful earth pictures. This stream may upset those who believe the Earth is flat! recorded footage is shown . 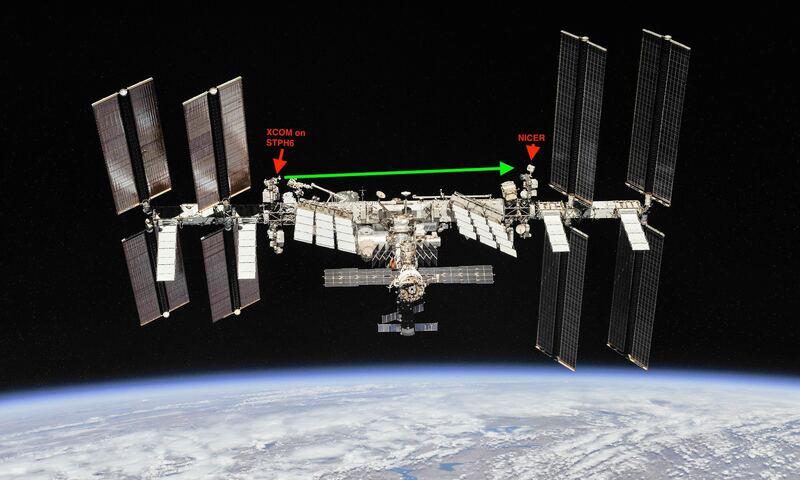 The ISS passes into the dark side of the earth for roughly half of each of its 90 minute orbits. During this time no video is available. We would recommend that you check out some recorded footage while you wait - click the link above. Want  to know where the ISS is? We love ❤ Space - We hope you do to! as a giant Earth-observing satellite. I wanted to do something different from what has been done before with those shots. Something more dynamic and fast. After all, ISS travel through space at 28.000km/h! There are also more recent footage that have never been used (at least I think...) in other edits. The international Space Station weigh 377 tons, orbits the earth at around 350km from the surface, and does one spin around the earth in 1h30, at 28.000k/h! At 1'11 we can see a little refueling shuttle desintegrating back to earth. At 1'20, it's a little telecom satellitte that is launch in orbit. The little green and purple lights you can see at 1'57 are respectively fishing boats and oil platforms offshore with the big city of Bangkok nearby. All the footage (around 80GB of pictures) was processed throught after effects/premiere, denoised for some shots, removal of dead pixels for some shots, deflickering, and simple color grading (didnt want to change the already incredible look! just curves, saturation, and some blue crushing). Don't hesitate to comment and ask questions about the video! of human activity, discover, through out this journey to space, something astoundingly beautiful and strange at the same time. 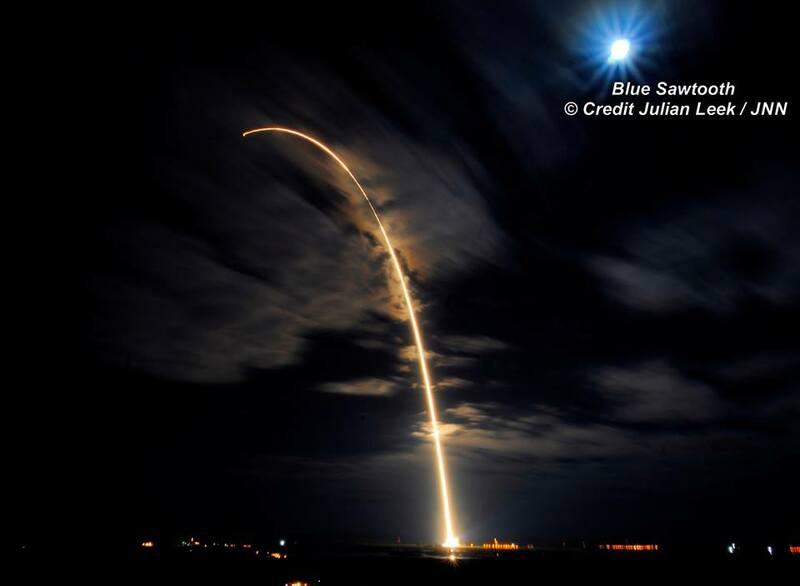 Click here to return to top of Page"
on Dec. 3, 2015 from Cape Canaveral, Florida. 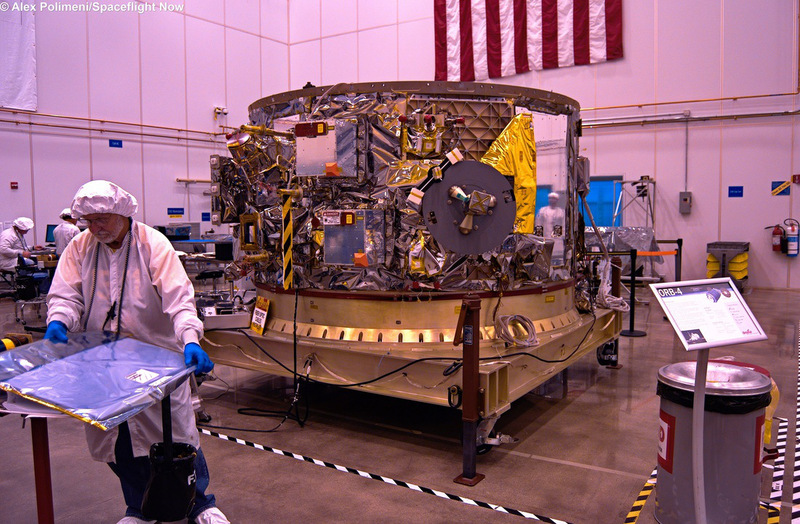 The Orbital ATK OA-4 service module sits in the cleanroom, with a large portion of the electronics on the vehicle visible in this photograph. 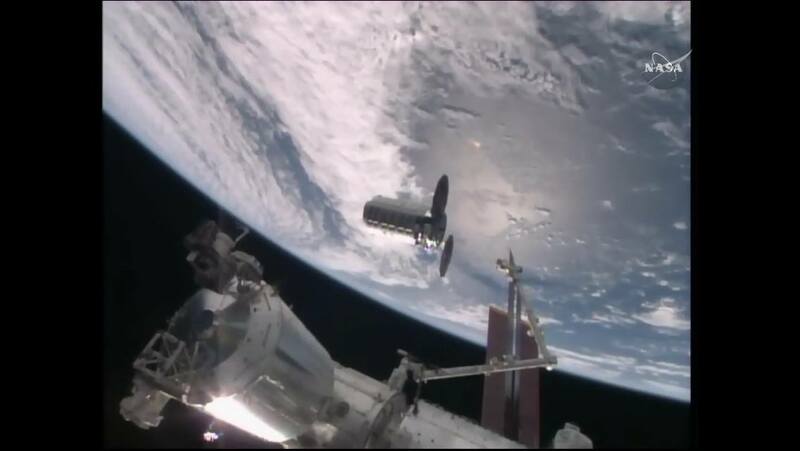 The International Space Station grapple hook is visible. 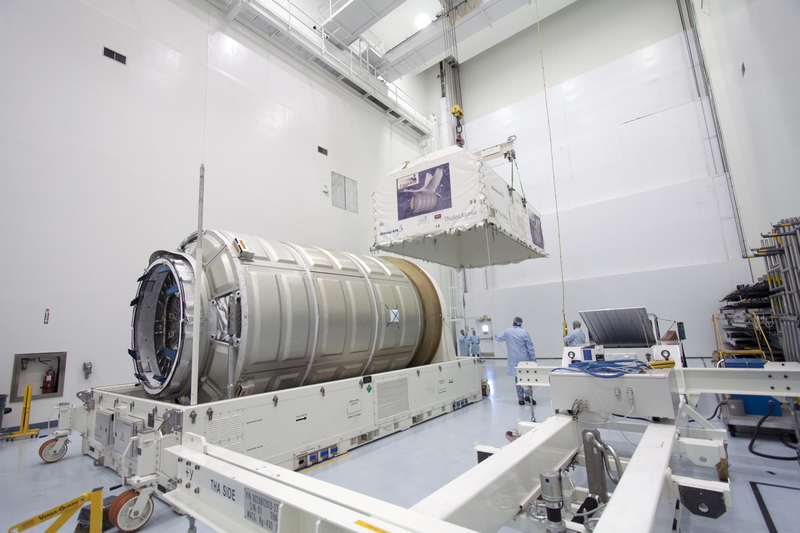 Orbital ATK Cygnus pressurized module unveiled inside Space Station Processing Facility at Kennedy Space Center in Florida as engineers remove shipping container. 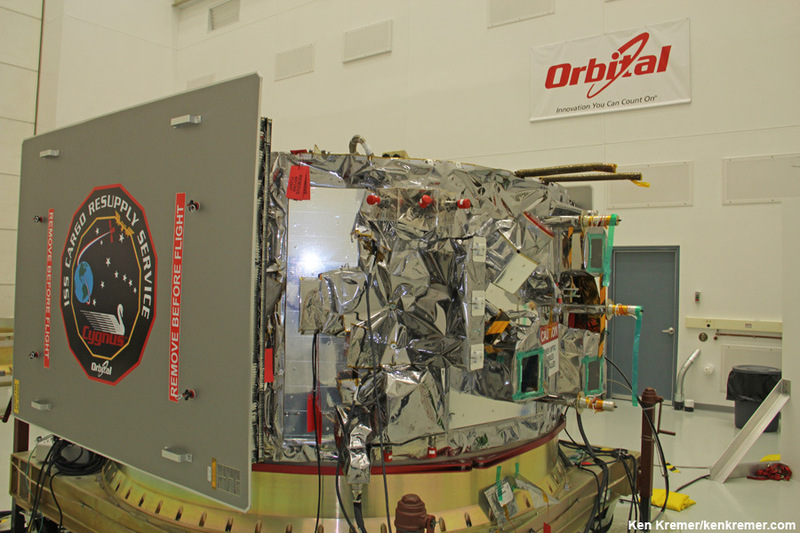 The module will be joined to the Cygnus service module before launch in December 2015.
and guidance during exclusive visit by Ken Kremer/Universe Today to observe prelaunch processing by Orbital Sciences at NASA Wallops, VA.
Service module gets attached to pressurized cargo module and flies Cygnus vehicle to ISS. 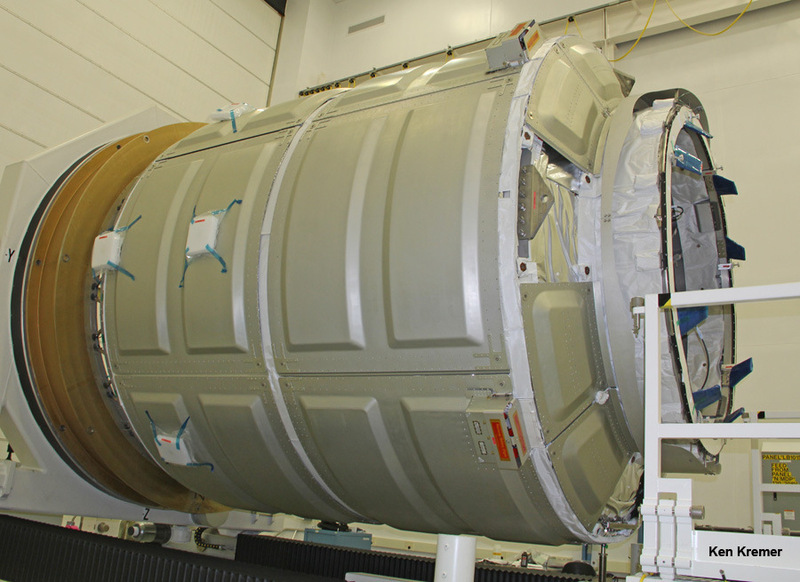 Cygnus original pressurized cargo module – side view – during prelaunch processing by Orbital Sciences at NASA Wallops, VA.
at NASA Wallops, VA. 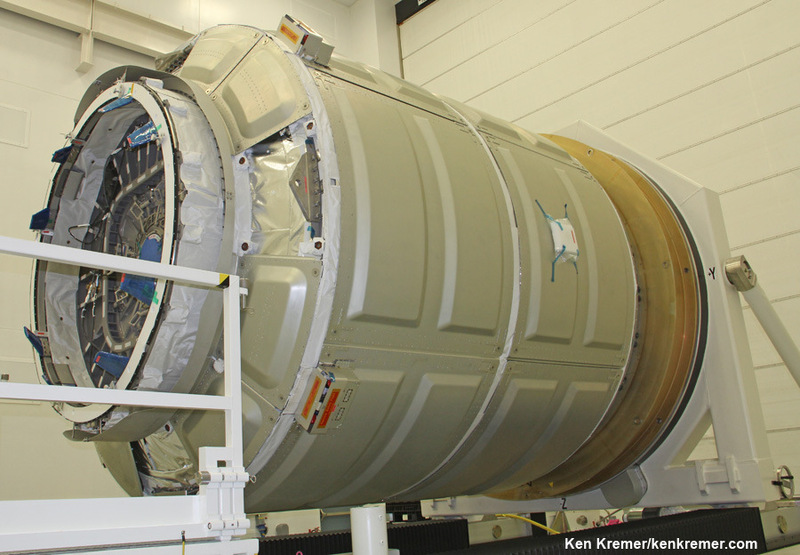 ISS astronauts will open this hatch to unload 2780 pounds of cargo. Docking mechanism hooks and latches to ISS at left. You are welcome to add subtitles in your language, you will be credited for your help. Thanks! After just a week, we reached the awesome goal of 100K plays. Thanks to everybody who shared, commented, liked and got inspired by watching Further Up Yonder. It has been an intense week, spent answering a ton of nice messages that people from all over the world sent to me. You made possible to have this video featured on blogs, forums and major media websites during this week. You helped this video crossing borders, as the astronauts asked us, reaching out to every continent. Thanks for your incredible support. Keep sharing! I wanted to use pictures taken from the International Space Station to tell a story and share the message sent by the astronauts who worked on the station in the last 11 years. They are working to open a Gateway to Space for all humankind, but people on Earth must understand that they have to get rid of the concept of borders on our planet if they want to follow the astronauts to new worlds in outer space. 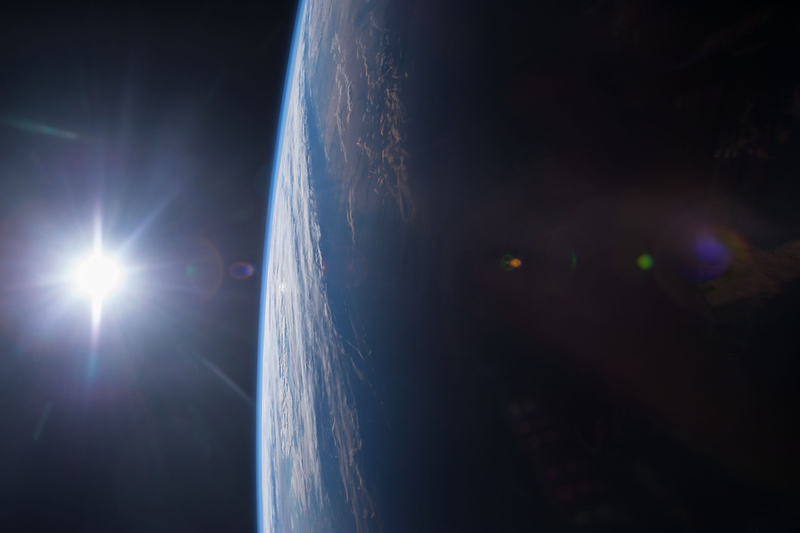 While the cosmonauts speak a day passes on Earth, from dawn to sunset, until the Gateway opens with a burst of light. The ISS then gains speed, the astronauts are leaving our planet which they see spinning faster and faster, merging earth, oceans and people together, ready to follow them, Further Up Yonder. As a filmmaking student, this was my first attempt to craft a timelapse video. It has been a time consuming process, but it turned out as one of my most satisfying projects. I focused my workflow on colours and harmony of movements, syncing every frame with the music and the voices of the astronauts. Every picture has been post processed individually before being imported in the NLE software, as I tried to take the most out of every image in terms of colours, contrast and neatiness. Pictures were downloaded from the Image Science & Analysis Laboratory, NASA Johnson Space Center and edited with Photoshop CS6. Even if they were Hi-res images shot with Nikon D3S cameras, a lot of noise removal and color correction was needed, especially for those shots at ISO 3200, which was the highest ISO speed limit I've allowed myself to use, exception made for the last sequence of the spinning world, which comes from a sequenze of shots taken at ISO 12800. Daytime shots were taken at ISO 200. I've used Topaz Denoise 5 for noise removal, as it is very powerful and accurate when dealing with shadows and blacks. Editing was made with Adobe Premiere CS6, with a 2K workflow, which allowed me to scale, rotate and pan image sequences whose native resolution is 4K. The video was downscaled to 1280x720 resolution for Vimeo. The original 2K version is available for download on my blog (link on top of this description). 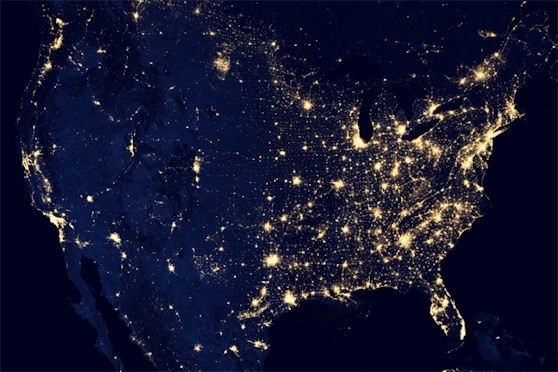 Earth | Time Lapse View from Space, Fly Over | NASA, ISS from Michael K�nig on Vimeo. and several regions in the United States, including the home states and cities of the two astronauts. "I just talked to my wife at home just 15 minutes ago; she said the weather�s beautiful down there,"
one of the men can be heard saying as ISS passes over Houston, Texas. Have you ever sat outside on a starry night and just watched the stars move slowly above you? Here�s a video that shows what it is like to sit back on a spaceship and gaze at the ever-changing sky above. 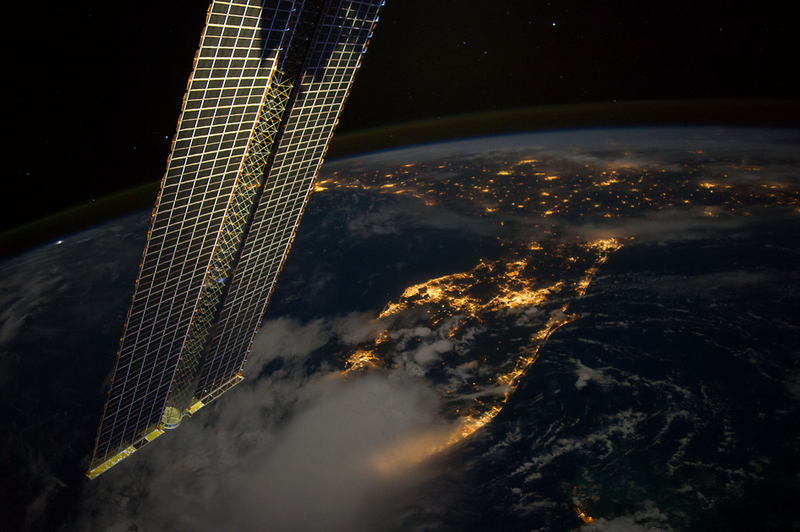 This timelapse was compiled from recent images taken from the International Space Station. 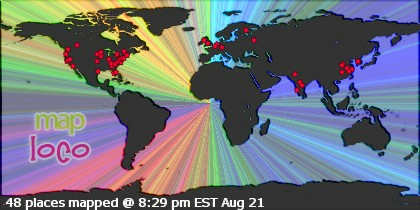 posted on the NASA Crew Earth Observation website. The video also features the Aurora Australis and and some random satellites. Standing on the ground, we�re used to seeing the bolts and flashes of lightning during epic thunderstorms. But how would it look like from space? 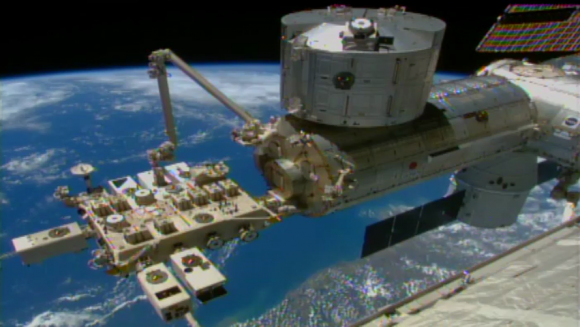 These three Vine videos from orbiting NASA astronaut Reid Wiseman provide a glimpse. International Space Station Flyover in HD, compilation NASA footage. All footage captured between Jan - May 2015. ISS Expeditions 42 and 43.
the International Space Station on Jan. 20, 2016. 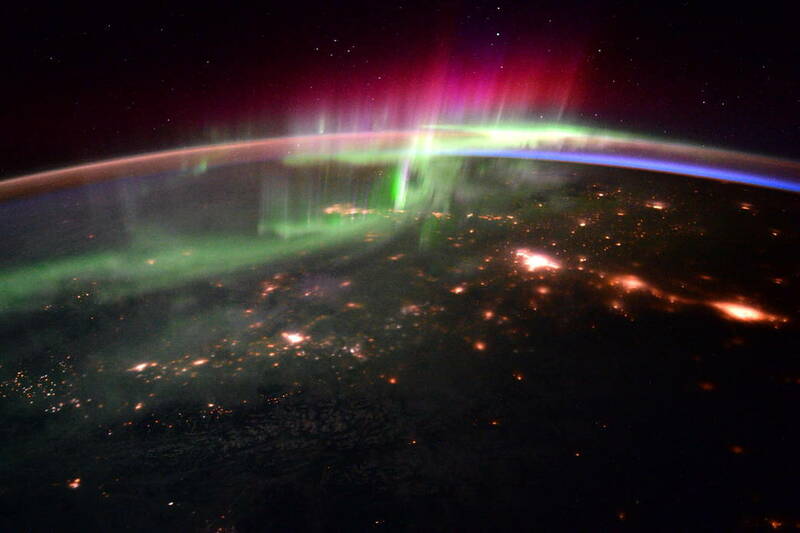 Kelly (@StationCDRKelly) wrote, "#goodmorning #aurora and the Pacific Northwest! #YearInSpace" and Peake (@astro_timpeake) followed up with, "Getting a photo masterclass from @StationCDRKelly – magical #aurora"
both in a steady stream called the solar wind and due to giant eruptions known as coronal mass ejections or CMEs. 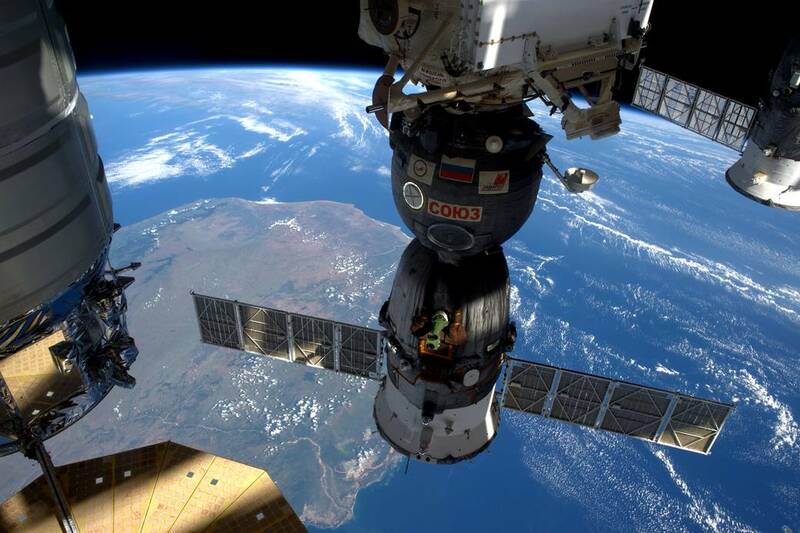 See the live cams from the international Space station and track it's location above the Earth!! ANd an archive of photos pictures from the astronauts on the International Space station! A Flame Experiment on the International Space Station!! 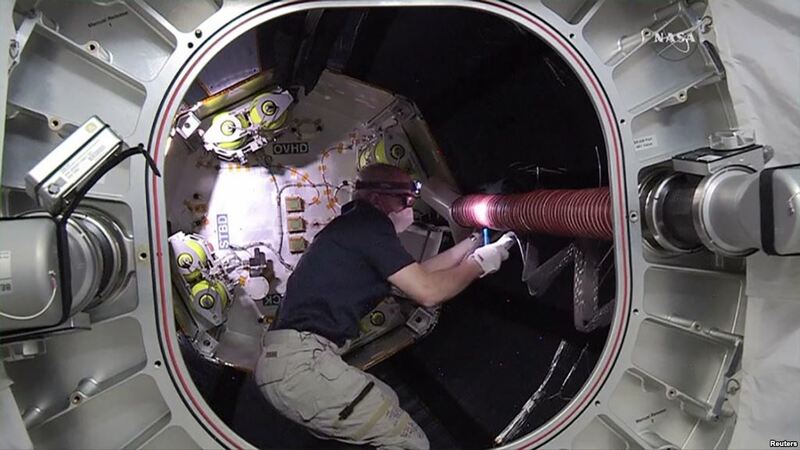 The Japanese robotic arm installs the CATS experiment on an external platform on Japan�s Kibo lab module. topped off with a breathtaking view of our home planet that will deliver science benefits to us down below. multiple missions are planned to be sent to the lunar surface, to Mars, and beyond. being back sent to Earth is reaching the limits of what radio communications can handle. 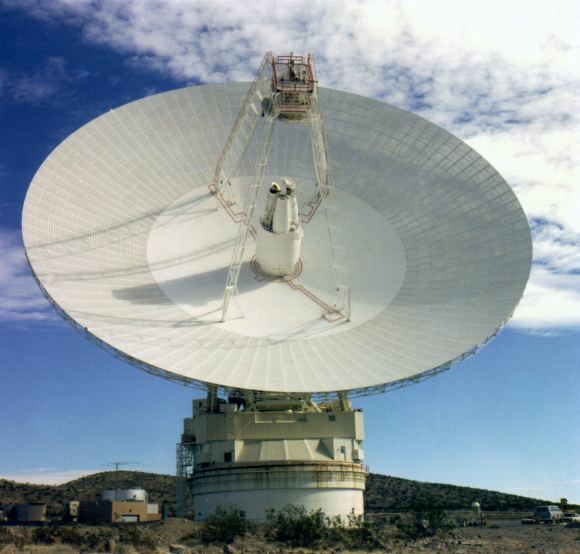 One of the massive radio antennas supporting NASA’s Deep Space Network (DSN). 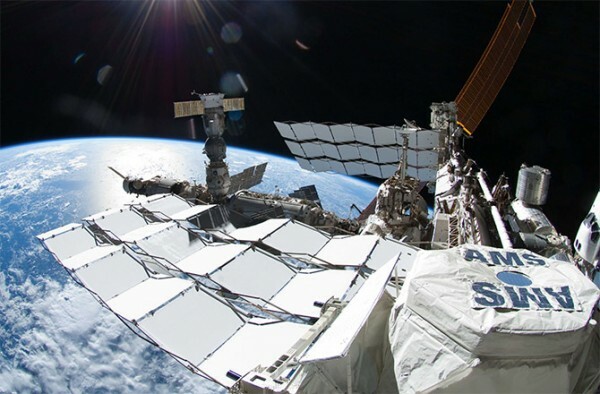 demonstration of X-ray communication in space. 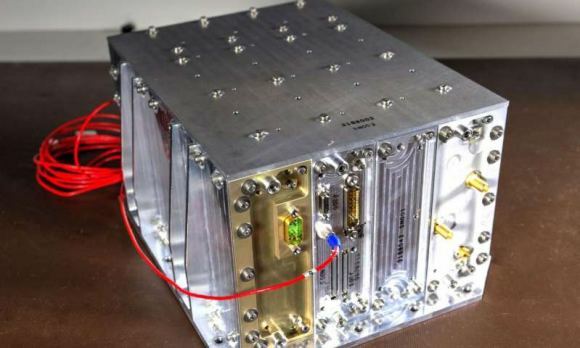 The NavCube could play a vital role in helping to demonstrate X-ray communications in space. taken from the International Space Station, and posted it to social media on Friday, Sept. 12.
of the Gulf of Mexico and U.S. Gulf Coast at sunset and posted it to social media on Dec. 14, 2014. The space station and its crew orbit Earth from an altitude of 220 miles, traveling at a speed of approximately 17,500 miles per hour. Because the station completes each trip around the globe in about 92 minutes, the crew experiences 16 sunrises and sunsets each day. 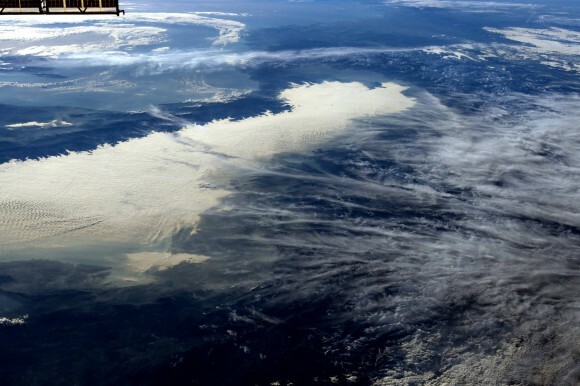 Spectacular View of the Alps From Space! 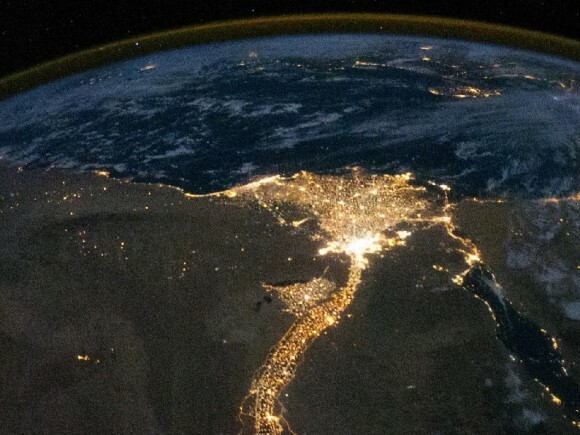 Planet Earth boasts some very long rivers, all of which have long and honored histories. The Amazon, Mississippi, Euphrates, Yangtze, and Nile have all played huge roles in the rise and evolution of human societies. Rivers like the Danube, Seine, Volga and Thames are intrinsic to the character of some of our most major cities. 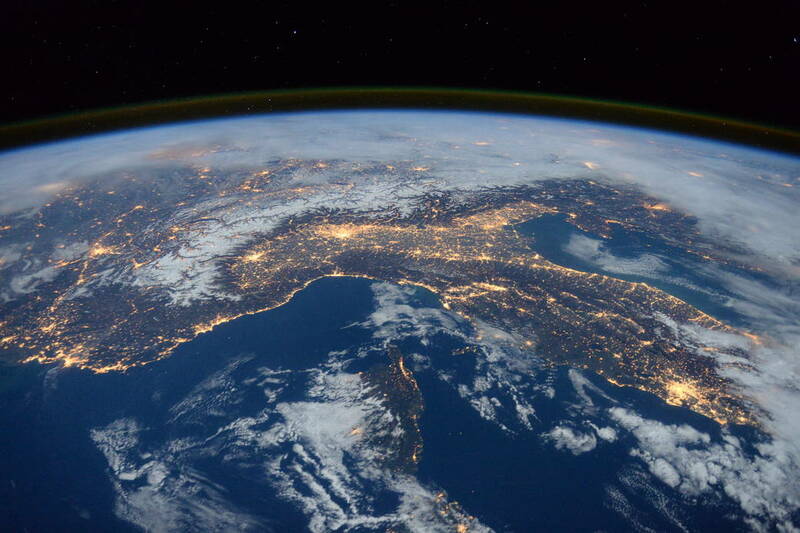 photograph with his social media followers on Jan. 25, 2016, writing, "Beautiful night pass over Italy, Alps and Mediterranean." 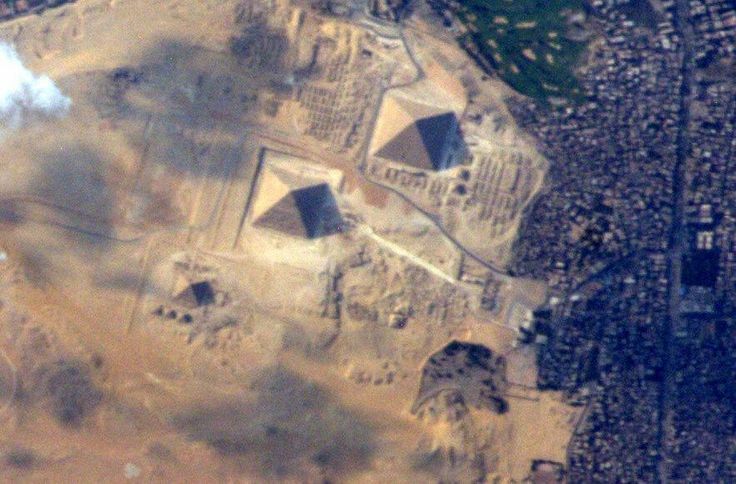 The Great Egyptian Pyramids of Giza from space and the International Space Station on 10 June 2015.
from the International Space Station. 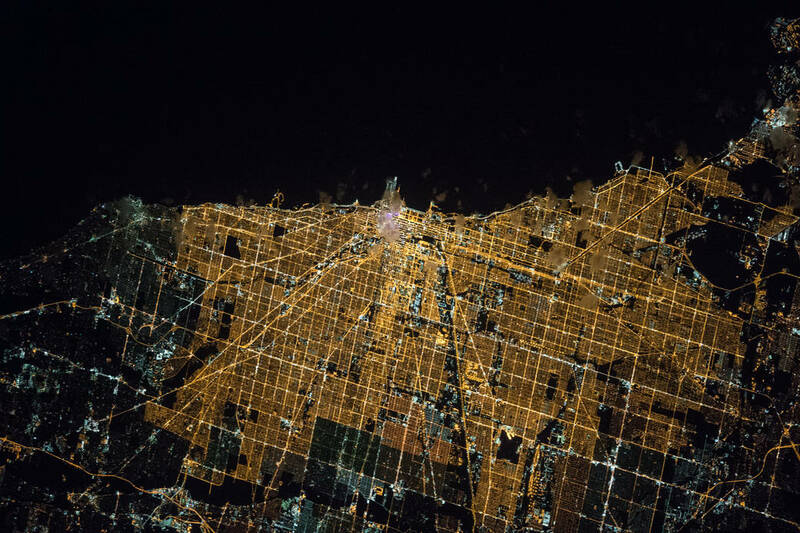 Kopra (@astro_tim) wrote, "#Goodnight #Chicago from @Space_Station. #CitiesFromSpace"
International Space Station. 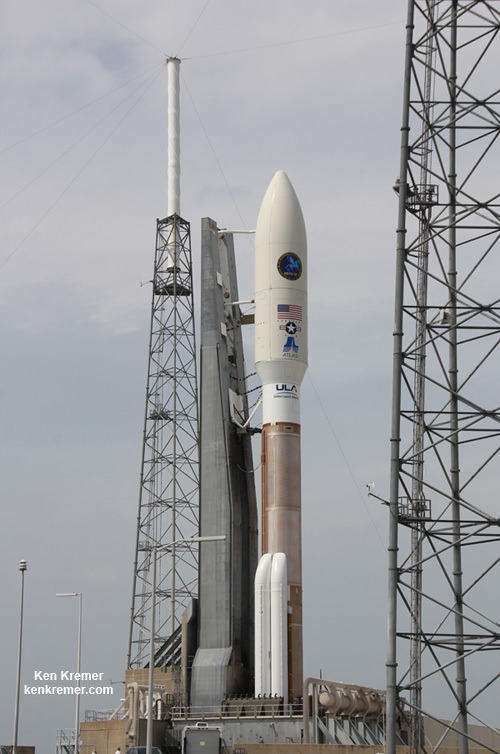 Cygnus is scheduled to lift off atop a United Launch Alliance Atlas V rocket on March 22, 2016. 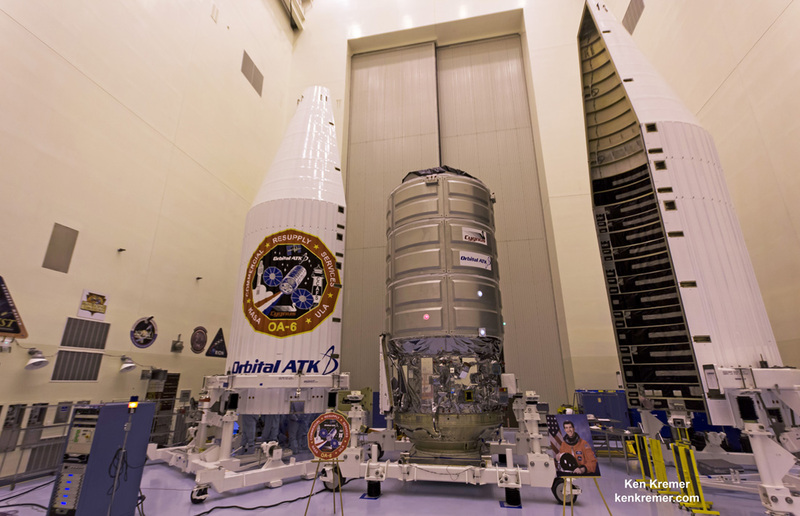 The Orbital ATK Cygnus spacecraft sits on top of an Atlas V rocket ready for launch to the International Space Station. 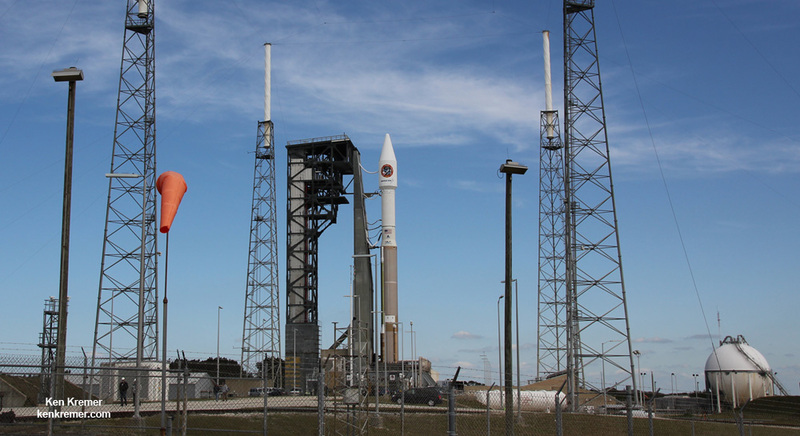 The mission is set to lift off on Tuesday, March 22, from Space Launch Complex 41 at Cape Canaveral Air Force Station in Florida. for launch. 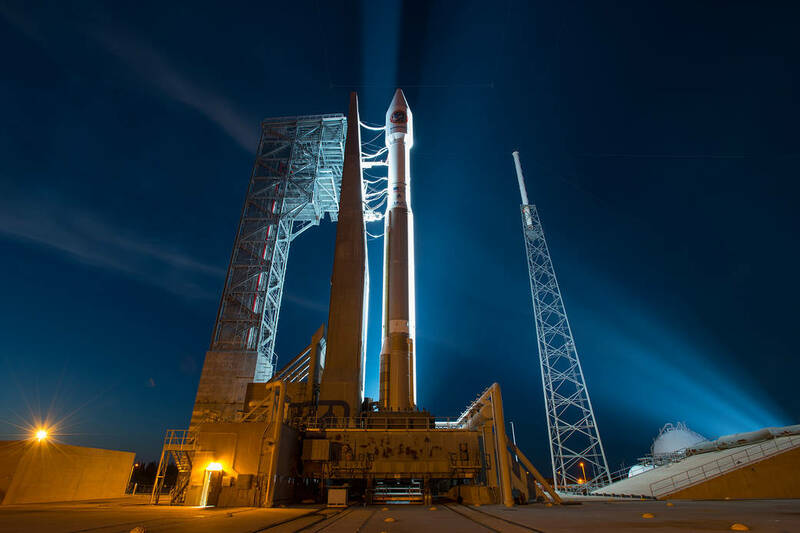 NASA TV coverage of the event begins at 10 p.m.
is poised for launch at Space Launch Complex 41 at Cape Canaveral Air Force Station on March 22, 2016. 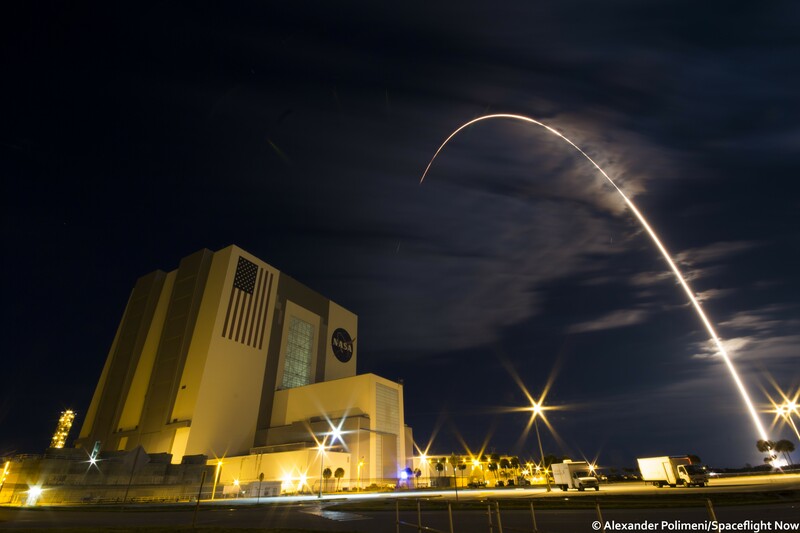 A United Launch Alliance Atlas V rocket lifts off from Space Launch Complex 41 at Cape Canaveral Air Force Station. 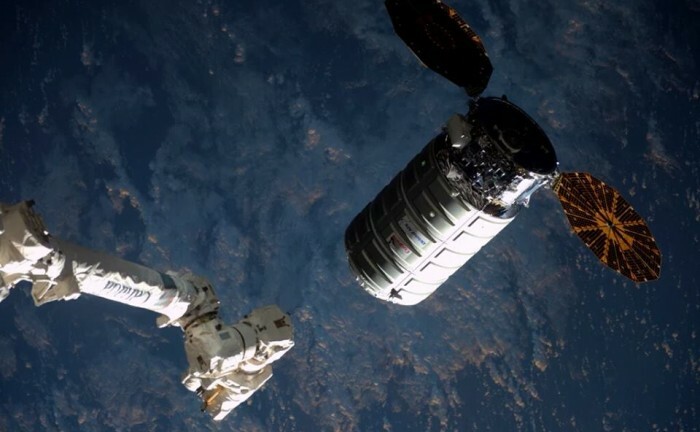 to deliver 7,500 pounds of supplies to the International Space Station. shot taken from the roof of the world famous Vehicle Assembly Building (VAB) at NASA’s Kennedy Space Center in Florida. Liftoff from nearby Space Launch Complex 41 on Cape Canaveral Air Force Station in Florida occurred at 11:05 p.m.
as the International Space Station flew over Madagascar, showing three of the five spacecraft currently docked to the station. 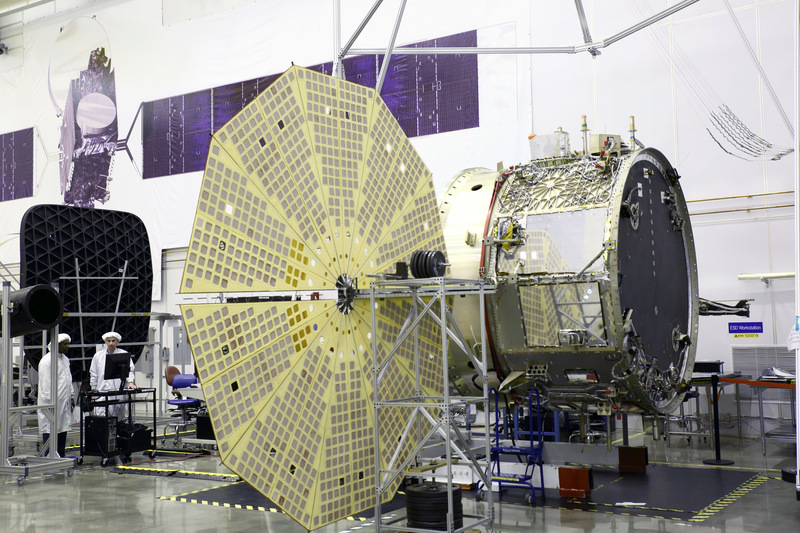 which will be the sixth spacecraft docked following its arrival and installation to the Harmony module on Sunday, April 10.
the largest payload is the Bigelow Expandable Activity Module (BEAM). 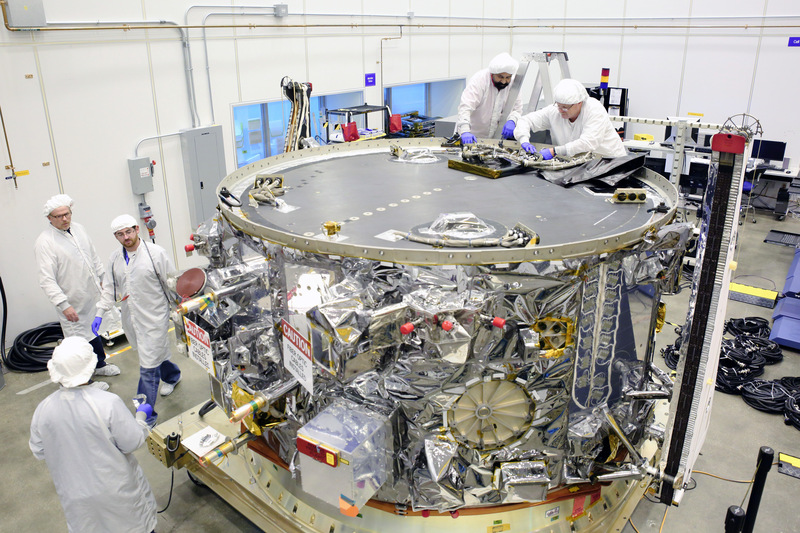 The BEAM will be attached to the Tranquility module a week after its arrival for a series of habitability tests over two years. 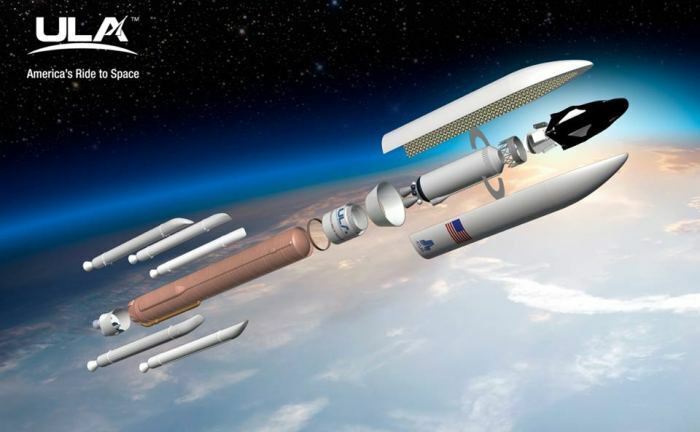 Rendering of Launch of SNC’s Dream Chaser Cargo System Aboard an Atlas V Rocket. 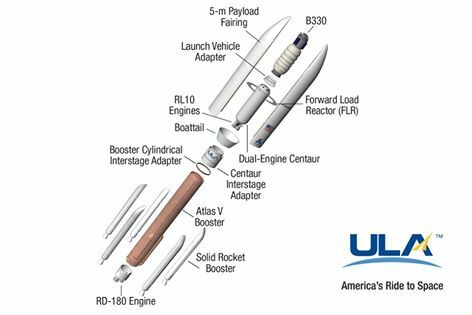 the United Launch Alliance Atlas V rocket in the 552 configuration on cargo missions to the International Space Station. 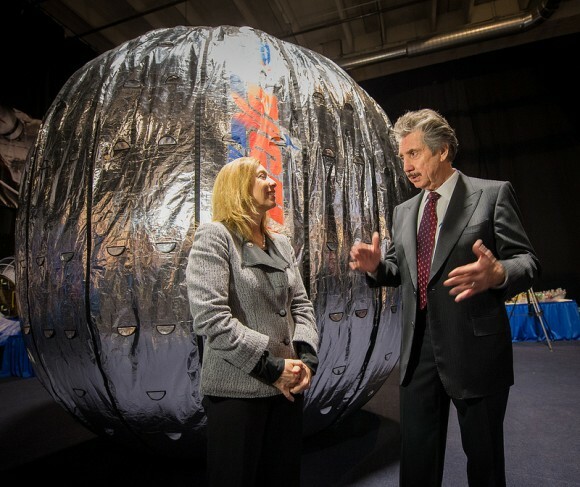 NASA Deputy Administrator Lori Garver and Bigelow Aerospace founder Robert Bigelow stand in front of the BEAM in January, 2013. 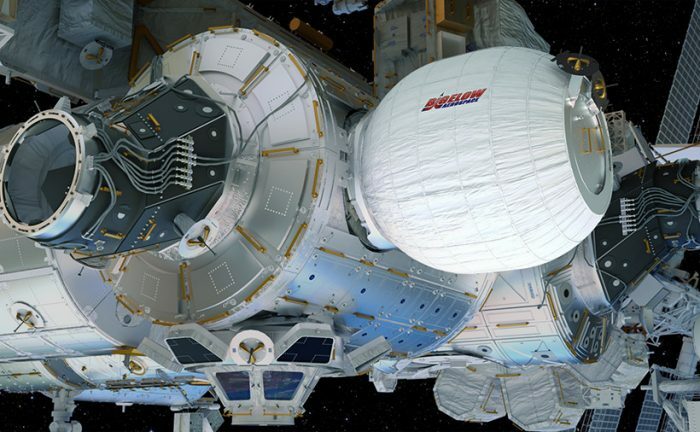 Artist�s concept of the Bigelow Expandable Activity Module (BEAM), currently scheduled to be added to the International Space Station in 2015.
transported into orbit aboard a Space X Falcon 9 rocket sometime next year. following rollout to Space Launch Complex 41 at Cape Canaveral Air Force Station, FL. Closely related to the space station is the International Space settlement contest!! 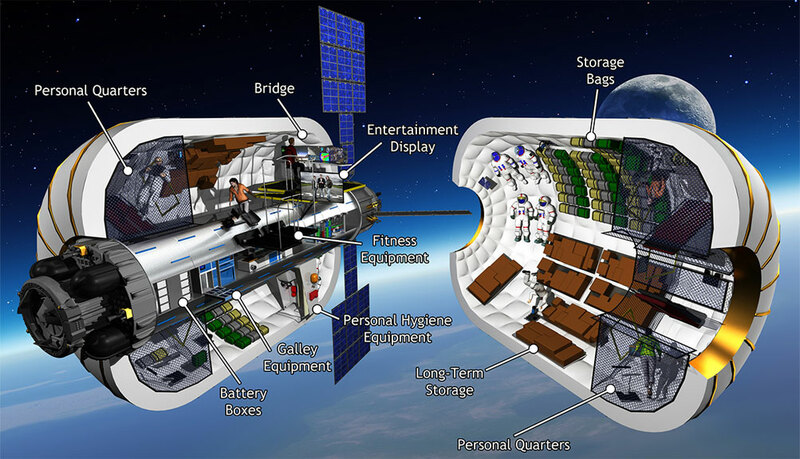 A COMMERCIAL FUTURE FOR THE INTERNATIONAL SPACE STATION??? 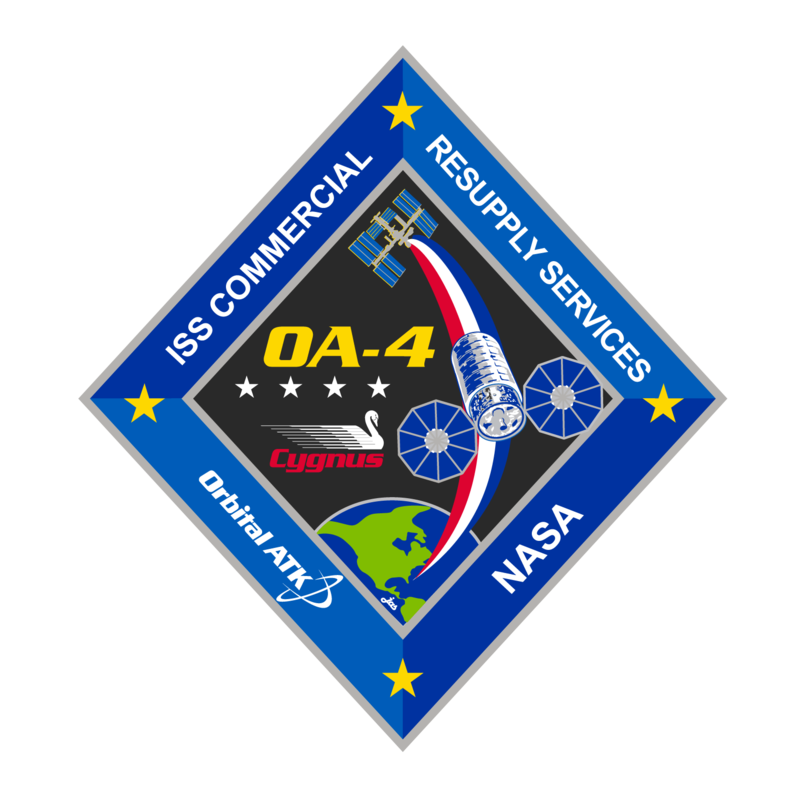 (ISS) and restore America�s capability to launch our crews from American soil for the first time since 2011. 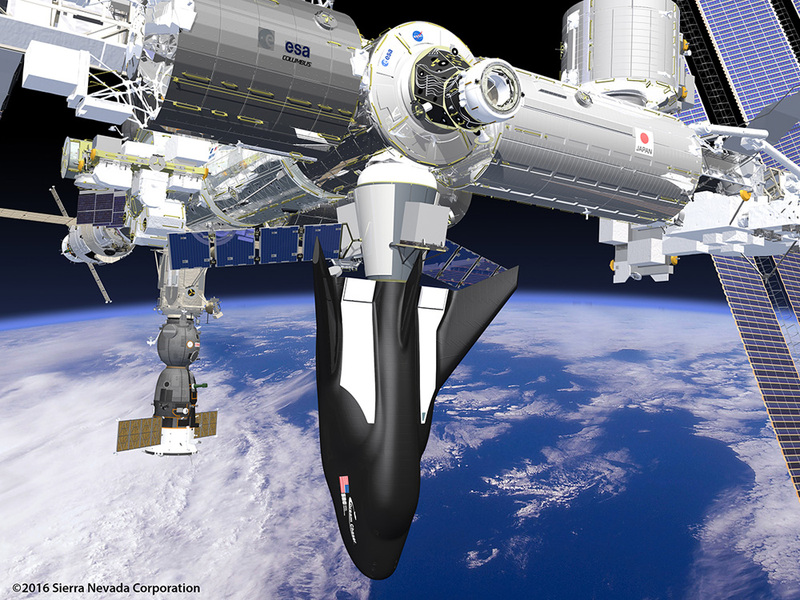 This animated video represents Sierra Nevada Corporation’s (SNC) Dream Chaser® Cargo System mission. 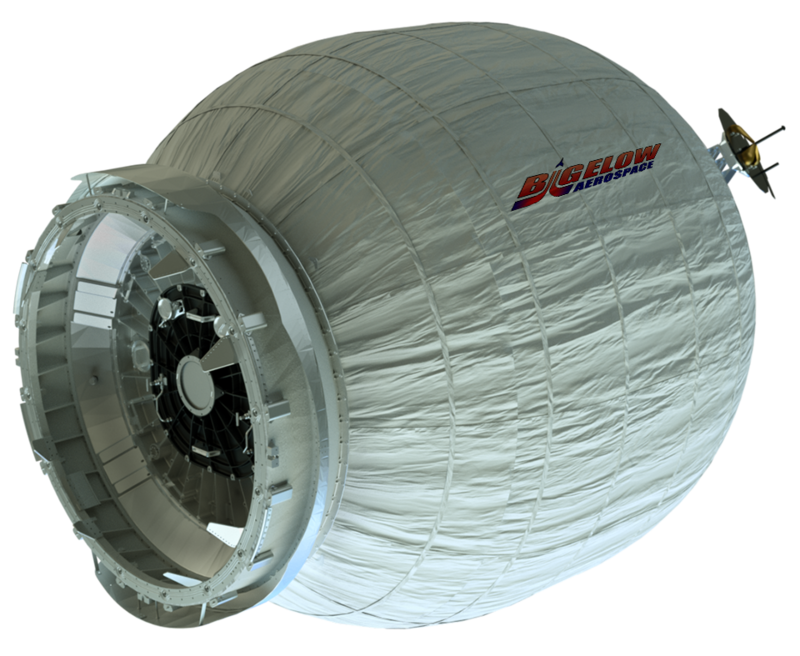 pressurized and unpressurized cargo to and from low-Earth orbit destinations such as the International Space Station. 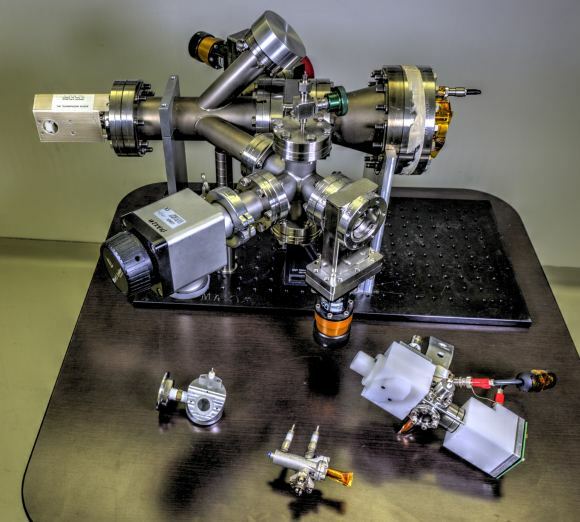 This system is designed to fulfill NASA’s current Commercial Resupply Services 2 (CRS2) and other fully autonomous missions. The uncrewed Dream Chaser spacecraft launches inside a standard 5m fairing, transporting pressurized and unpressurized cargo concurrently. 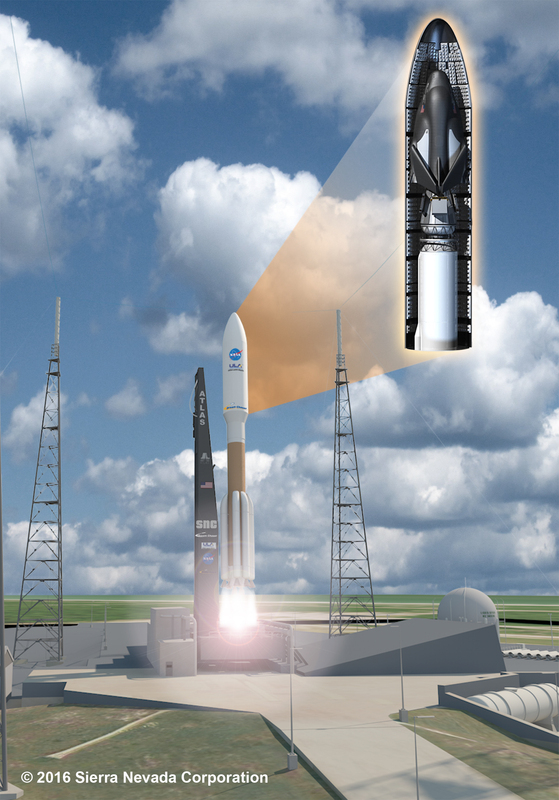 with immediate access, all attributes that are unique to the reusable, lifting-body Dream Chaser spacecraft.